This has been a week for wisdom and greatness. Not from watching television news or paying attention to current events. What I did was to surround myself with some wise and great people. 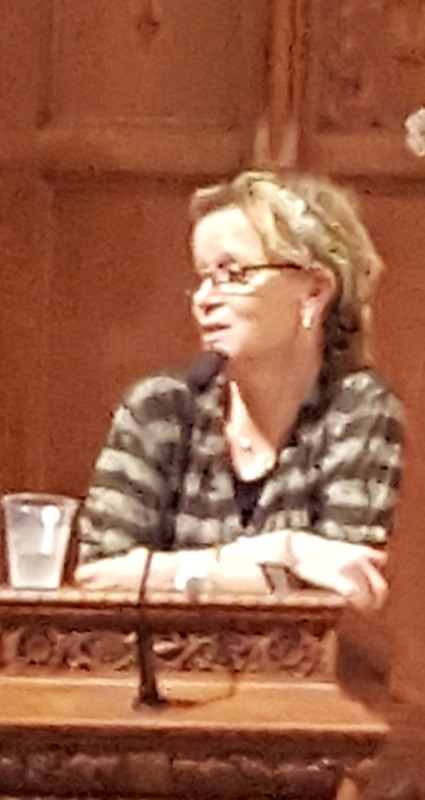 Last night I went to see Anne Lamott talk about her latest book. The title is, Almost Everything: Notes on Hope. While standing in line, I was able to capture this picture of her arriving for her talk. I was delighted to be joined there by so many great and wise members of the Spectrum Center Writers Guild plus a couple of folks from my Soul Collage group. What a great group of creative people. Paying attention has been an ongoing theme of the RoadBroads. It is essential to stay curious and see what is all around us. I paid attention to Anne Lamott speak on how to keep moving whether you are writing or living life. One foot in front of another, one word at a time and next thing you know you have written the next chapter, survived the next crisis, accomplished what was once just a dream. And speaking of accomplishing great dreams, I had the great opportunity to attend the Houston Symphony Thursday evening. Itzhak Perlman played and conducted. His passion and intense attention to every detail of the music is amazing to watch. He is focused yet is able to play a concerto by Bach all the while conducting a symphony orchestra. I was awed. It goes without saying the music was transcendent. 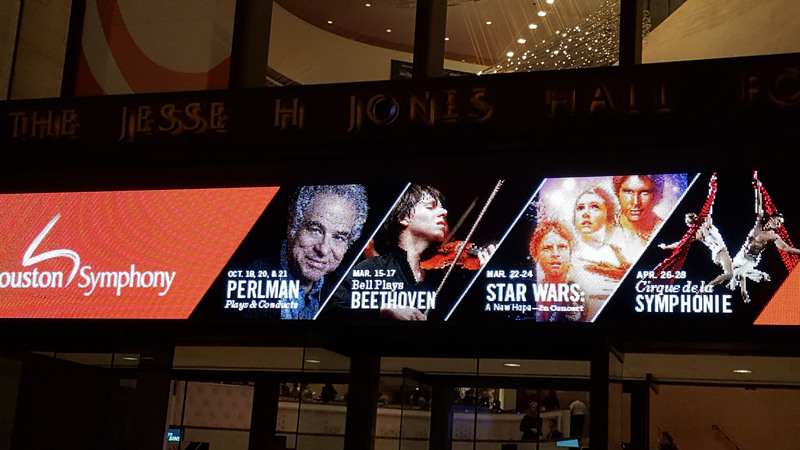 If you get a chance see Itzhak Perlman perform, then run…don’t walk, to the nearest symphony hall. Hint: there is another performance in Houston on Sunday afternoon. Finally, this past Friday afternoon I attended my first Halloween Party for the season. I went back to the workplace I had retired from back in May. This was my first time to go back. Years ago I started a tradition of holding an annual Halloween Party for staff and didn’t know if it would continue in my absence. I needn’t have worried. Janet, the woman who took my place and Brenda, one of the greatest Administrative Assistants of all time, made me proud. They not only carried on the Halloween tradition, but they even added a Haunted House to the festivities. Here is a picture of the three of us. I am once again joined by wisdom and greatness. 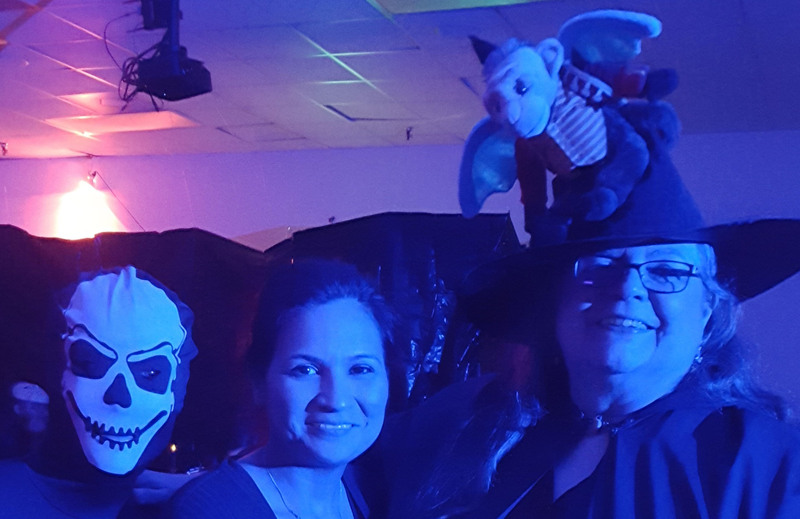 Yes, the creature with the skull face is the woman who replaced me. Obviously, she is doing a great job. On a final note, I have to thank my friend, Ann, who remembered the song that I wrote about during my last blog post. The name of the song is, Who Were The Witches? You can catch a version sung by The Gaia Choir on YouTube. Thanks, Ann! 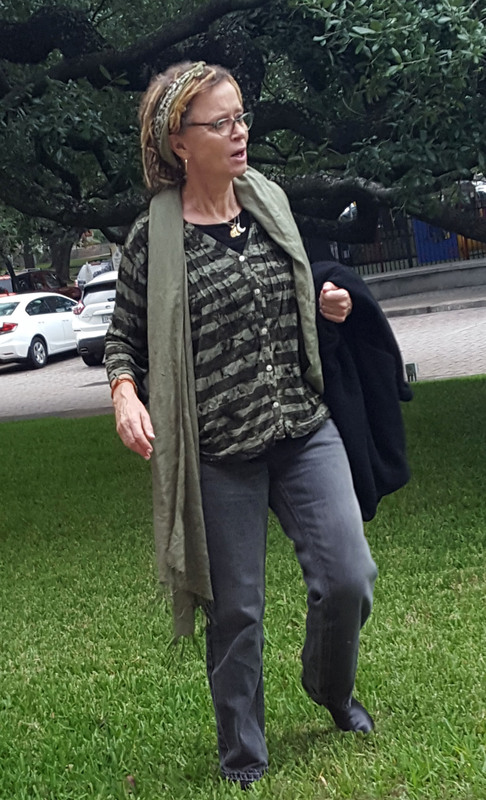 I love your Anne Lamott informal photo! What a terrific evening in the company of lovely friends! Wonderful to re‐enjoy that night and your additional adventures through your words.